Birth date and place c. 1826 St Lukes, London, Middlesex. 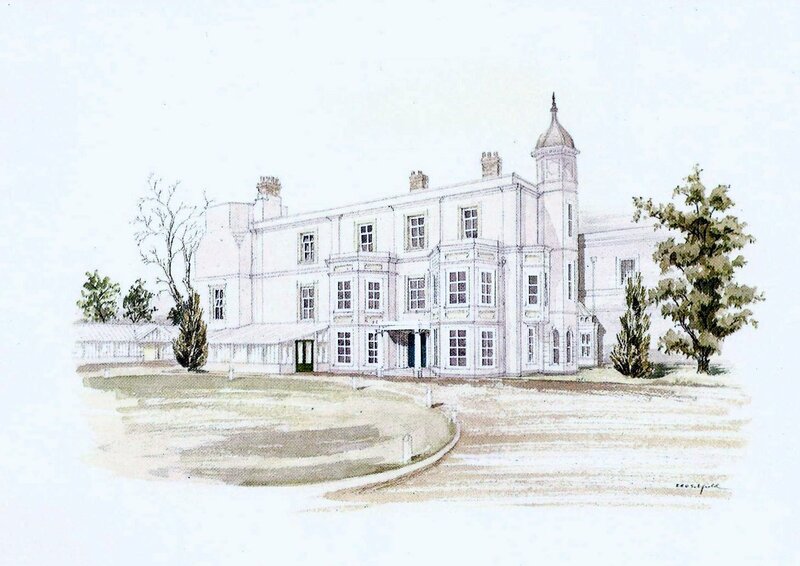 Civil Census Residences Girdlers Alms Houses, Richmond Street, St Luke, London, Middlesex (1841). 92nd Company, Royal Marines, Woolwich, Greenwich, Kent (1851). Physical Description Height: 5 ft. 7¼ ins. Complexion: fresh. Eyes: grey. Hair: auburn. Distinguishing marks: Little finger of left hand slightly crippled (1848). Height: 5 ft. 7¼ ins. Complexion: sallow. Eyes: light blue. Hair: light red. Face: round. Building: stout. Distinguishing marks: Woman right arm, D left side (1859). 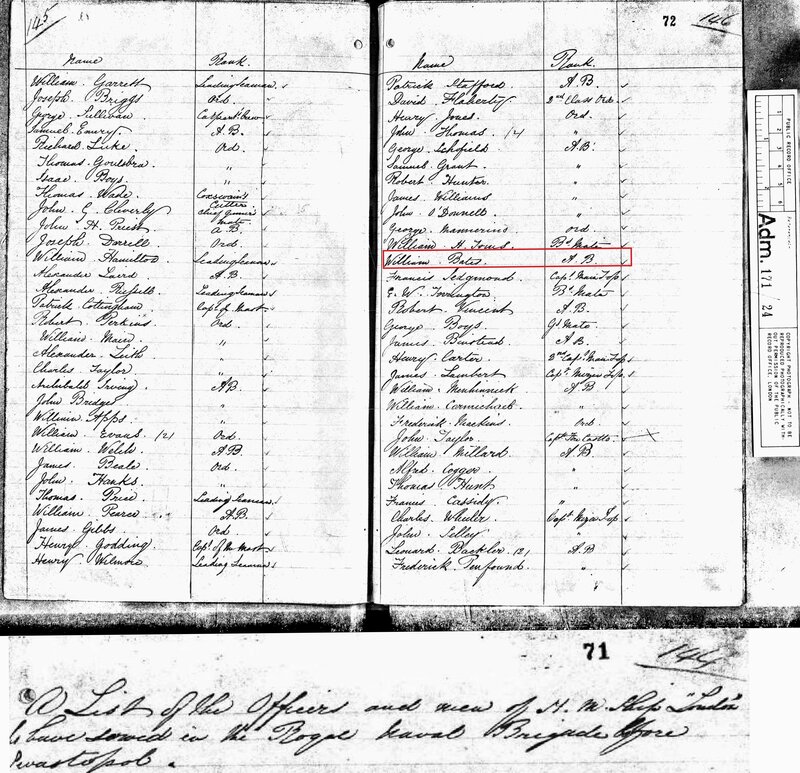 Marriage date and place After March 1851. 92nd Company as at March 1851. Regiment No. and Rank Able Seaman. 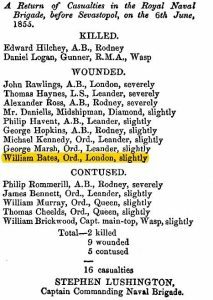 Attestation date and place 15 Jul 1848 Woolwich. Bounty: £317. 6d. 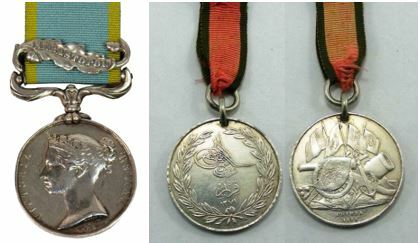 [ADM157-49-166]. 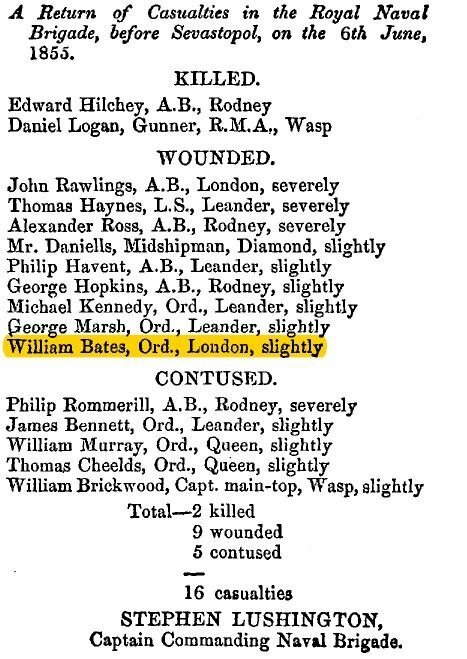 Casualty/Medical Slightly wounded before Sevastopol on 6th June 1855 [London Gazette 21 Jun 1855 p.2396]. Courts Martial (Navy) Three convictions – details unknown [PCom2-37 & 41]. General Courts Martial 7 Jan 1856 Woolwich. Prison or Institution and Register # Dec 1855 to Jan 1856, Woolwich Barracks for 1 month 7 days (prior to and following trial). 19 Jan to 15 Feb 1856, Millbank Prison #2065. 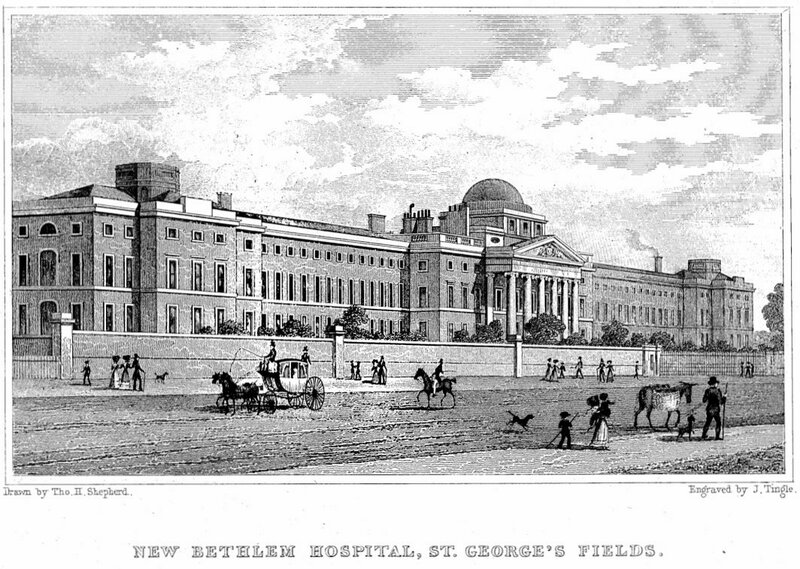 15 Feb to 9 Aug 1856, Pentonville Prison #6416. 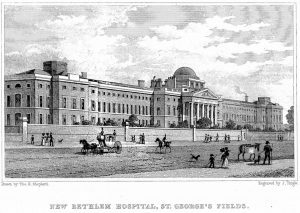 9 Aug to 13 Dec 1856, Bethlem Lunatic Asylum, St George’s Field, Surrey #43827. 13 Dec 1856 to 27 Sep 1858, Fisherton House Asylum, Salisbury, Wiltshire #16568? 7 Sep to 18 Oct 1858, Millbank Prison #7853. 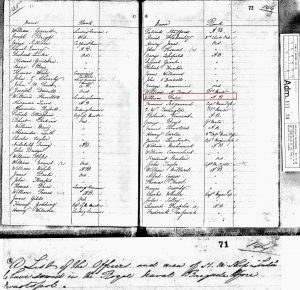 18 Oct to 19 May 1859, Portsmouth Prison #5508. 19/28 May to 19 Aug 1859, Convict Ship Sultana. 19 Aug 1859 Fremantle Prison #5381. Perth, Vasse, Northam, York, Fremantle, Sussex, Wellington, and Toodyay. WA Ticket of Leave 16 Feb 1860, Perth. WA Conditional Pardon 23 Jul 1863, Vasse. Civil or Criminal Court Supreme Court of Western Australia. Crime 23 Jul 1864. Stealing 200 lbs. of flour. Trial & Conviction 5 Oct 1864. Larceny and Stealing. Prison and Register # 5 Oct 1864, Fremantle Prison (Colonial) #8176. WA Certificate of Freedom 27 Oct 1870, York. Civil or Criminal Court Police Court. Crime 7 Oct 1871. Stealing two opossum skin rugs. Trial & Conviction 4 Jan 1872. Breaking into and stealing in a shop. Prison and Register # 4 Jan 1872, Fremantle Prison (Colonial) #10048. 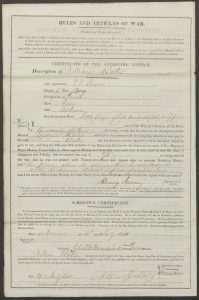 WA Ticket of Leave 25 Aug 1876. 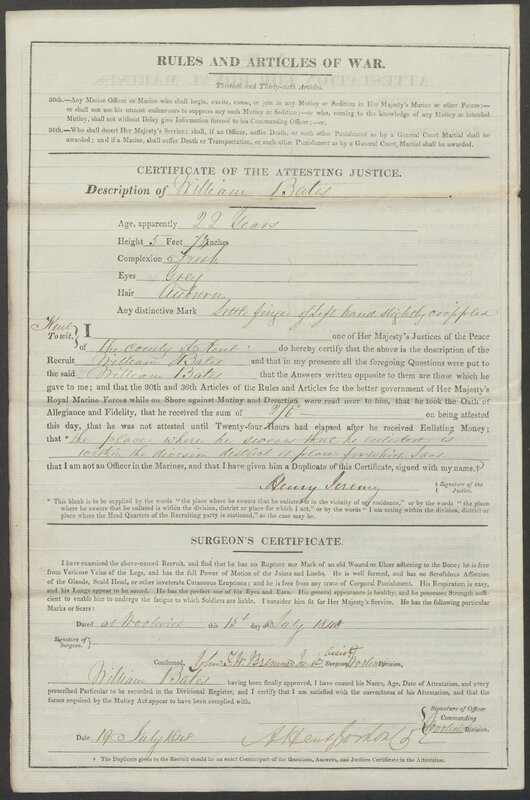 WA Certificate of Freedom 26 Jun 1879. The Herald 14 Oct 1871. Perth Gazette 5 Jan 1872.